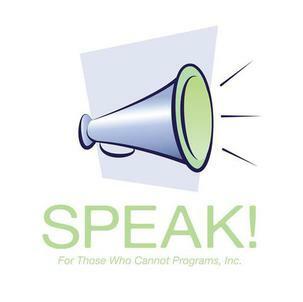 Donations to Speak for Those Who Cannot Programs, Inc. SPEAK exists to help raise awareness about the critical issues and lingering needs within our communities facing children and youth, women and their families and the poor through the use of technology, multi-media tools, activities, events and programs. The goal is to produce positive change in the lives of those whose voices are not being heard and needs are not being met. Donate to the General fund or to a specific SPEAK! Project. SPEAK! is a 501(c)(3) nonprofit organization. All donations to SPEAK! are tax deductible.